The 10 Rotary clubs on Maui and Lanai recently celebrated the recipients of the Hawaii Rotary Youth Scholarships during a luncheon at Tante’s Island Cuisine in Kahului. Nine of the 10 recipients attended along with their parents and a representative from nine of the 10 Rotary clubs. Recipients shared plans for their post-high school schooling. The Hawaii Rotary Youth Foundation was founded by Maurice J. “Sully” Sullivan during his year as Rotary’s district governor in Hawaii, 1976-77. 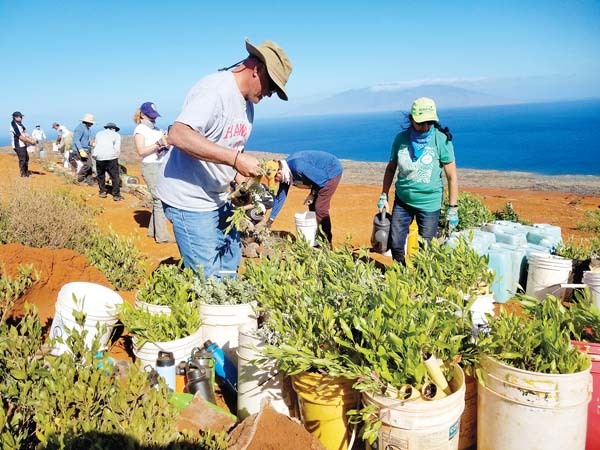 It was Sullivan’s desire to assist Hawaii’s high school graduates realize their potential by attending a college or university of their choice here in Hawaii or on the Mainland. He felt that HRYF could be the vehicle to teach young people about the advantages of the free enterprise system, the basis of democracy. Each recipient received $5,000 toward future college expenses. The students were selected by their sponsoring Rotary Clubs. Recipients and their respective colleges of choice are: Katherine Swor (Baldwin High School) Saint Martin’s University; Kiki Bekkum (Hana High School) U. Mass Dartmouth; Stephanie Bodin (Kamehameha Schools Maui) Grand Canyon University; Macaleigh Hendricks (Kihei Charter School) University of Southern California; Shayne Thompson (King Kekaulike High School) Texas A&M University; Nikki Zamini (Lahainaluna High School) UH-Manoa; Milena Calilao (Lanai High School) George Fox University; Lino Yoshikawa (Maui High School), UH-Hilo; Beau Johnston (Maui Prep) University of San Diego; and Darby Mulligan (Seabury Hall), University of Puget Sound. Zamini was selected by HRYF to receive a $10,000 scholarship award. “I am very grateful to be the recipient of this scholarship,” said Zamini. “The financial support that HRYF provides helps students like me make my dreams a reality.” Zamini will major in biology and plans on a career in medicine and wishes to return to Maui to practice. For more information, contact HRYF Maui trustee Joanne Laird at mamalrd01@gmail.com.